For smooth operation and added convenience, ATEN´s KA7171 USB-PS/2 KVM Adapter Module is designed to provide a full console connection locally in a KVM over IP Switch or Matrix KVM* installation. 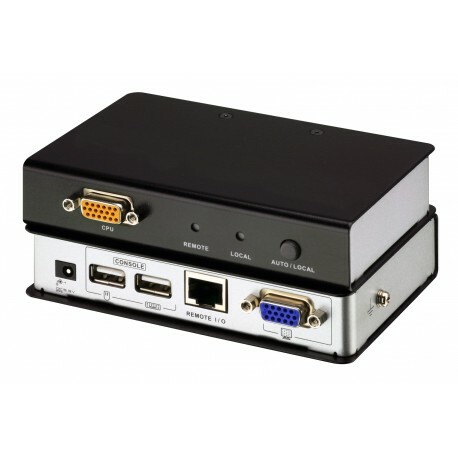 The KA7171 allows a PS/2 or USB server to be connected to the switch via Cat 5e/6 cable and provides an extra console via USB keyboard, USB mouse, and monitor to use for extended local operations. In addition, the Privileged Console Control function prevents remote users from operating the device when a local administrator requires full control of the server - reducing conflicts and unwanted operations.